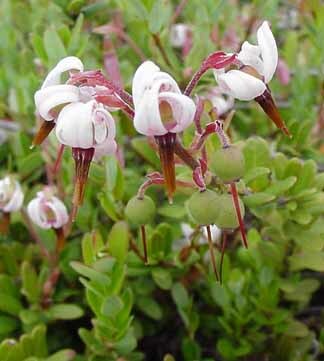 People make a variety of relishes from the berries of this plant. They are also dried and eaten plain or in mixes with other dried fruits and nuts. I add them to cranberry orange cheesecake. 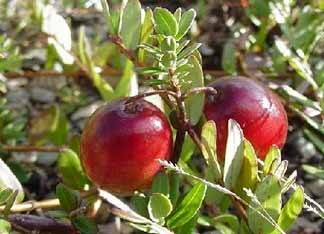 It is believed that the chemicals in cranberries may help fight gum disease. University of Maine Cooperative Extension - Cranberry site. I use them as a pretty ground cover in my gardens. Insects are attracted to the nectar of the flowers.